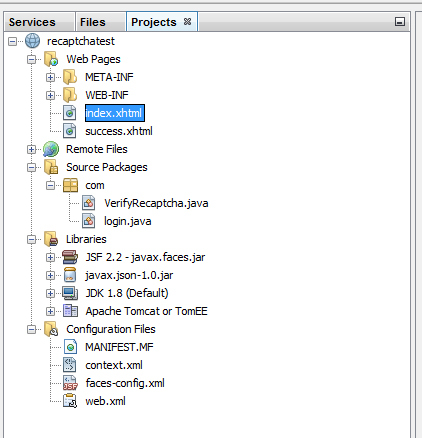 This tutorial shows step by step how to include reCaptcha I m not a robot in JAVA JSF Websites. 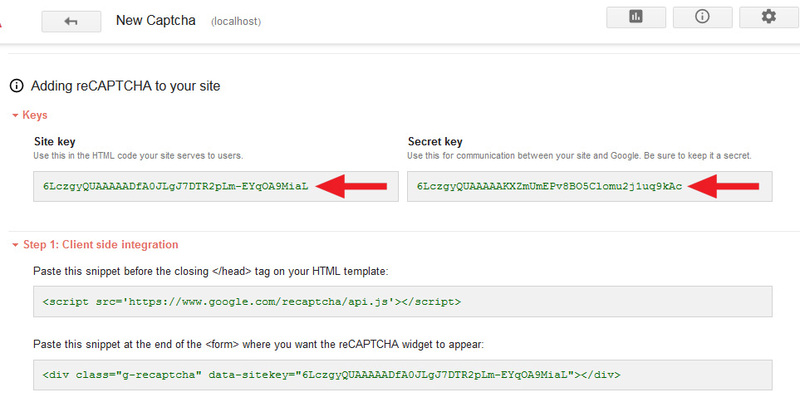 First you have to register with Google recaptcha and get the Site Key and Secret Key. Visit this link to get the step by step process. Project Structure in Netbeans IDE.